Finally! 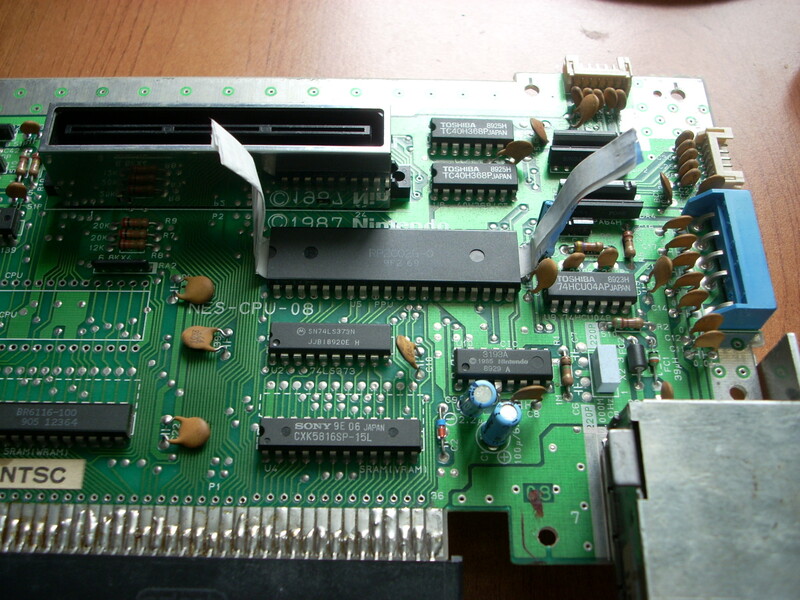 Here’s Part 2 of the Restoring a Nice Famiclone Saga. Go read Part 1 if you haven’t done so yet. 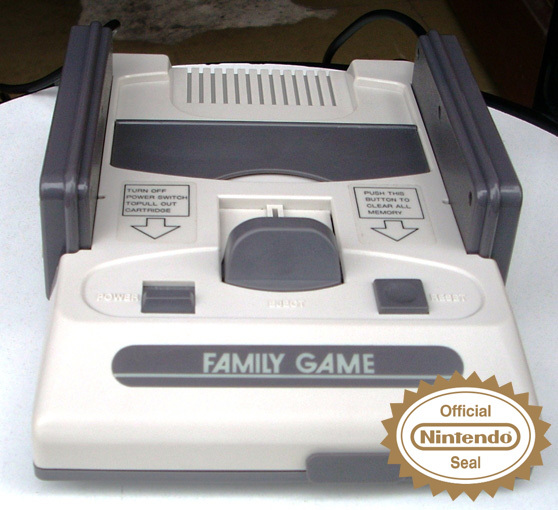 The NTDEC Family Game is a nice discrete Famicom clone which was probably manufactured around 1990. It’s very sturdy in comparison with later Famiclones, and thanks to its discrete design it can run software like Castlevania III and the Famicom Disk System with no problems at all. Unfortunately it suffers from the incorrect sound syndrome that plagues the vast majority of Famicom clones. Two of the duty cycle registers are swapped inside the audio generator unit, producing different sounds and music. Unfortunately the audio processing unit is inside the CPU die, which means that it’s uncorrectable short of replacing the entire CPU (something you cannot done on NoAC based Famiclones), and it’s really annoying when you know how the games are supposed to be like. 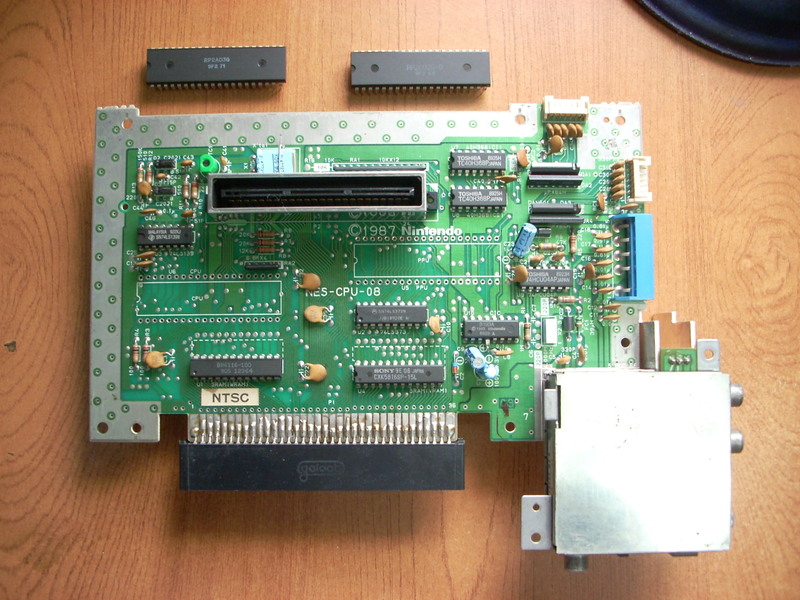 In this case I’ll replace both the CPU and PPU chips on the Family Game console with original Ricoh parts to turn it into a 100% accurate, 100% compatible Famicom system. 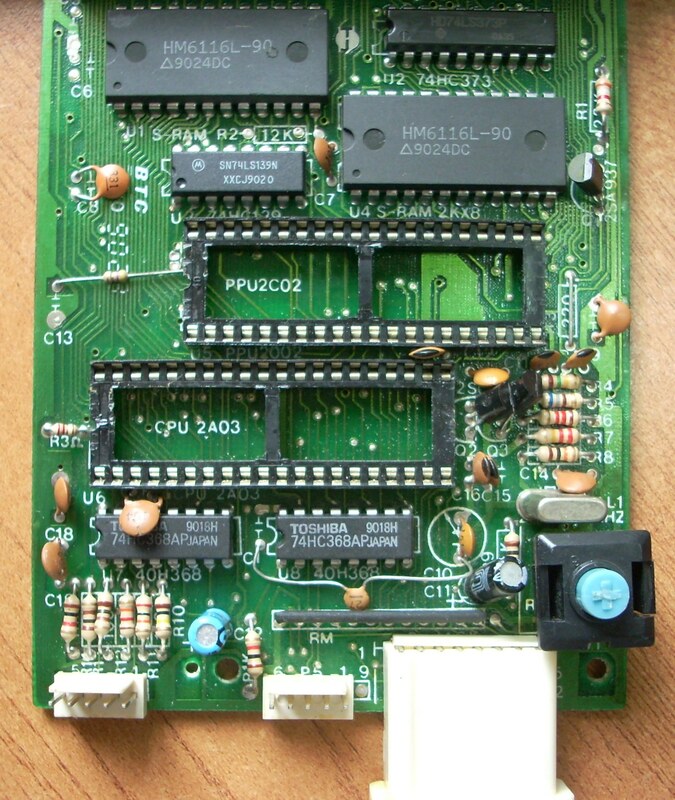 I had this NES motherboard lying around, a perfect source of original CPU and PPU chips. Being lazy, (what a surprise!) I removed both chips using a hot air gun instead of taking the time to properly desolder 80 pins one by one. 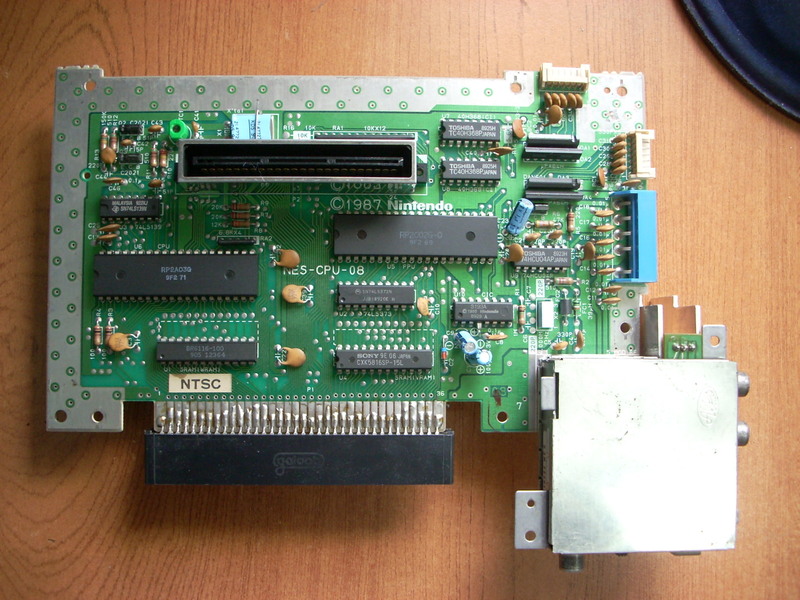 Poor NES had its brains surgically removed. I don’t own a proper chip puller tool, so I folded a long, thin stripe of paper and managed to squeeze it under the chips. You can then grab onto both ends of the paper and cleanly pull out the chips while heating the board with the hot air gun from the other side. When done well, the results are quick, clean and the components don’t receive any damage. McGyver-style chip puller. Used an old receipt. 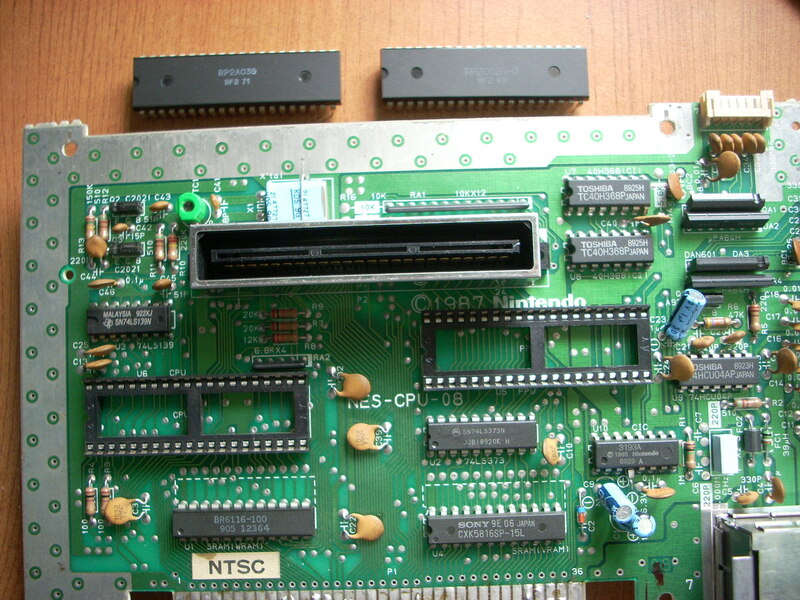 I decided to install chip sockets on the NES motherboard so I could use it to test other CPU/PPU chips and do some other experiments in the future. The sockets were $1 a pop and soldering them was a breeze. Drop in your preferred CPU and graphics card, just like in a modern PC! 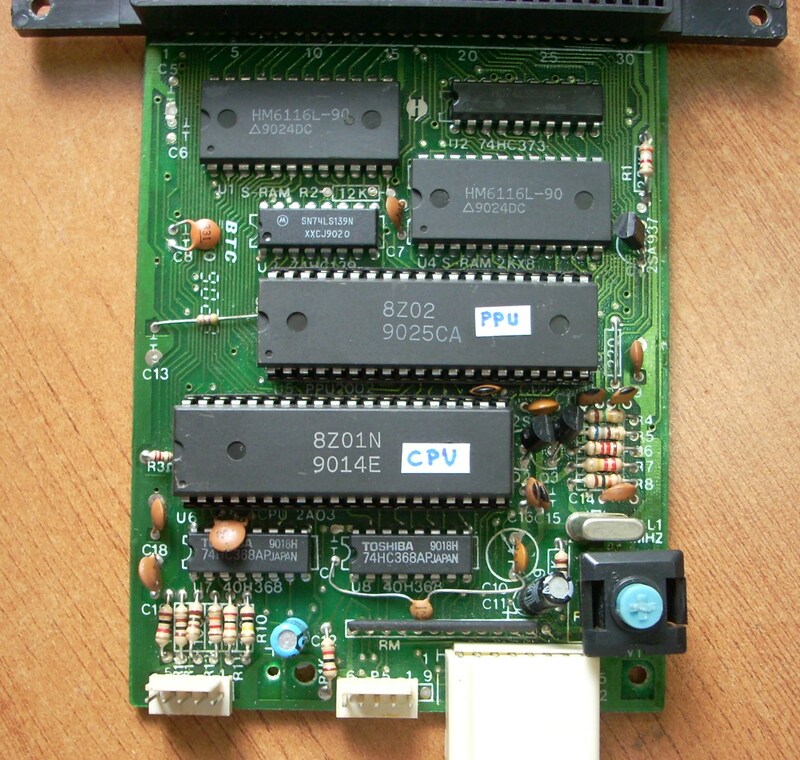 With the 2A03 CPU and the 2C02 PPU out of the NES, it’s time to remove the cloned chips from the Family game and drop the original replacements in. Since the CPU and PPU chips on this board are already socketed, swapping them with original parts is extremely straightforward. I have labeled the chips prior to removal so that I can still use them without knowing their codes. Zombie Family Game board, looking for brains. How nice of the pirates to label the correct part numbers under the chips. 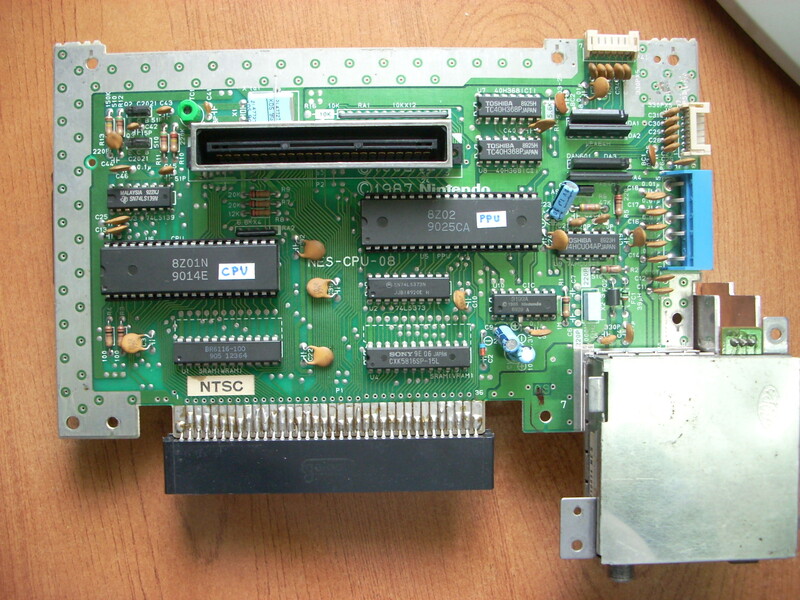 They are in the exact same position and orientation as the original Nintendo Famicom motherboard. Original and pirated chips meet for the first time. Pirate chips on the left, original ones on the right. Now let’s drop ’em in shall we? Family Game with original Nintendo/Ricoh parts! Now my Family Game has nothing to envy to an original Famicom system. Built-in AV out, turbo controllers, and now 100% compatibility and accuracy! To be fair, the compatibility and accuracy were pretty high with the cloned chips, but I can’t stand NoAC-ish sound in my games, especially when the fix is so easy. But what happened to the NES motherboard and the cloned chips? They now live together! Pirated chips meet original hardware! 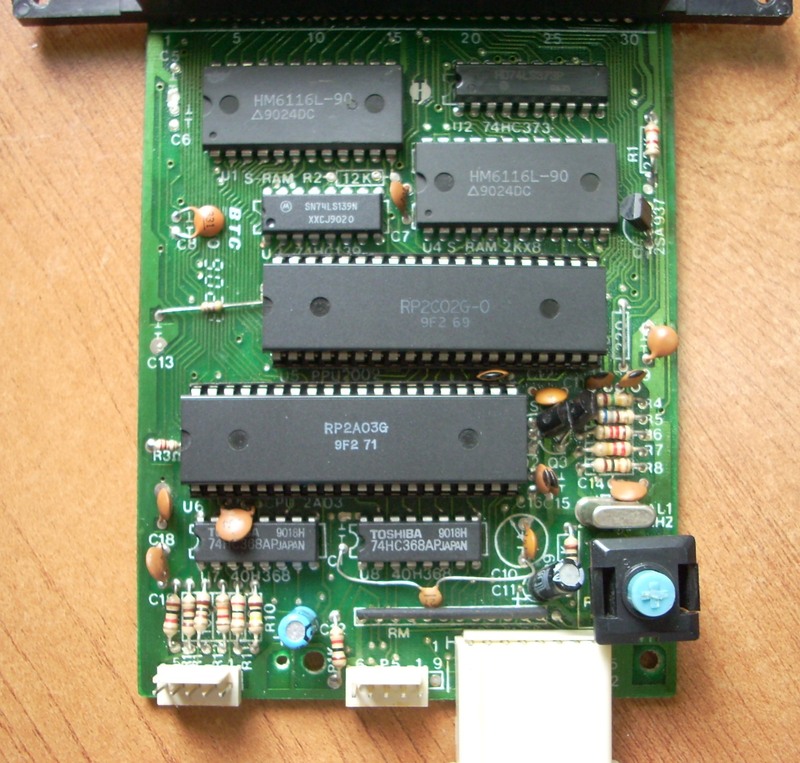 This effectively turns the NES into a clone system, with all its quirks and flaws. And this marks the end of the short Restoring a Nice Famiclone series. I hope you’ve enjoyed it as much as I did. Stay tuned for other interesting bits from my Famicom collection. This entry was posted on 28/11/2009 at 11:27 PM and is filed under Electronics, Famicom/NES, Video Games. You can follow any responses to this entry through the RSS 2.0 feed. You can leave a response, or trackback from your own site. I also see you placed a pirate pin connector on the NES also, you should build a custom casing and make this the NES into a proper clone. That would be great to see. may i ask, can we replace famicom cart reader with a nes cart reader? or is it just not possible? Yes but you’d need to do extensive rewiring and cut the plastic or something to make room for the larger NES connector. Better just use a converter. Hmmm? What’s that solder pad next to the SRAM for? Have you figured it out? Excellent blog you have here but I was wondering if you knew of any forums that cover the same topics talked about in this article? I’d really love to be a part of community where I can get feed-back from other knowledgeable individuals that share the same interest. If you have any suggestions, please let me know. Cheers! It does play authentic Famicom games with correct sound. By the way I acquired 2 of these consoles and they are very similar to yours joypads only differ a bit and the mother boards mine are different to each other and different then yours too,I only got one to work the other one has some lines when u go on sceen,would like very much to post you some pictures to see what you think about these….where can I send them pls?